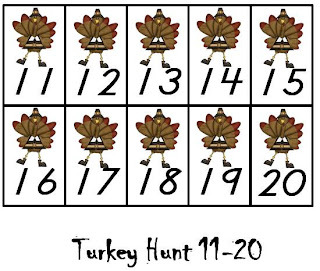 Oh my goodness, I found this video too...Just for fun, following directions, getting wiggles out before a lesson...So funny to watch students flap their arms like a turkey and say "Gobble!" It made my Monday! 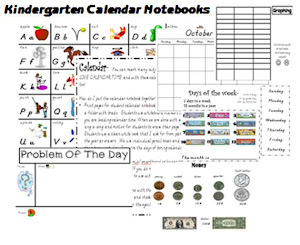 This is from HarryKindergarten on youtube...LOVE all his videos! Something to make the kids smile! 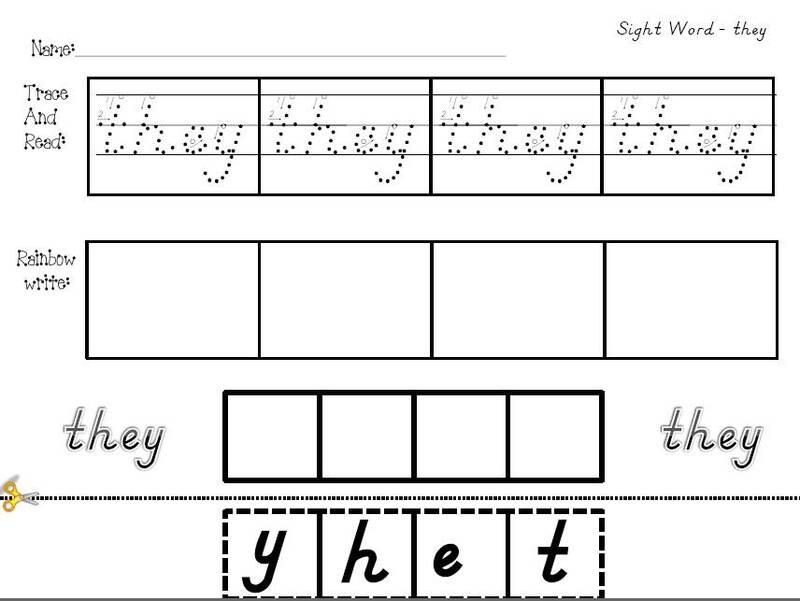 Ok, so I was going through youtube looking for a video to share with my kids on opposites and I came across this...although very cheesy at first- the tune got in my head and I thought I would try it out with my kids. Result? They LOVED it. 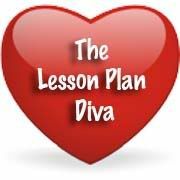 They were singing, dancing, and laughing...AND LEARNING! What more can you ask for? 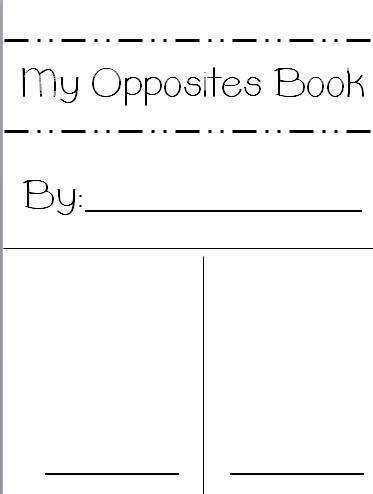 Then, we made an opposite book. 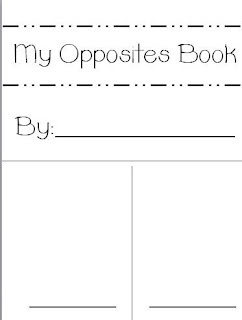 Students draw a picture of the opposite pairs and write the opposites. Students read their books to their friends and it went in their reading bags to take home. 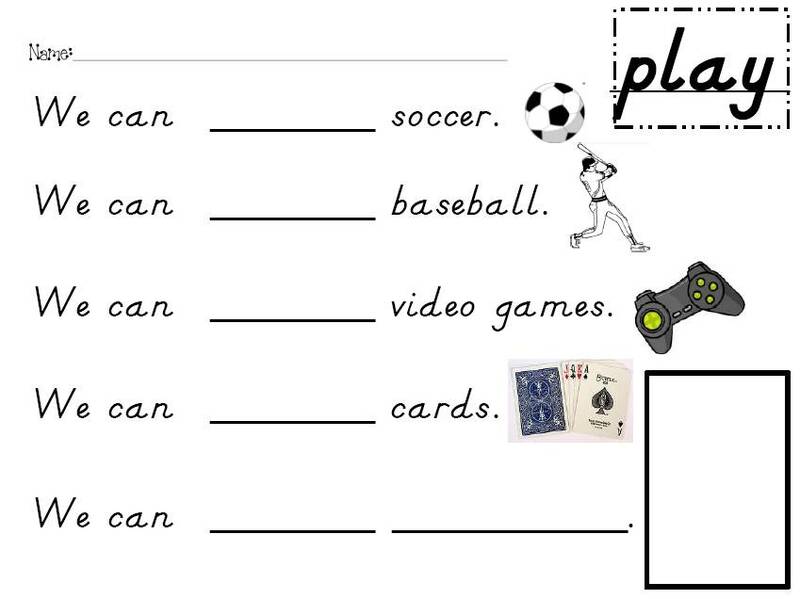 Anyone have any good ideas to practice opposites? 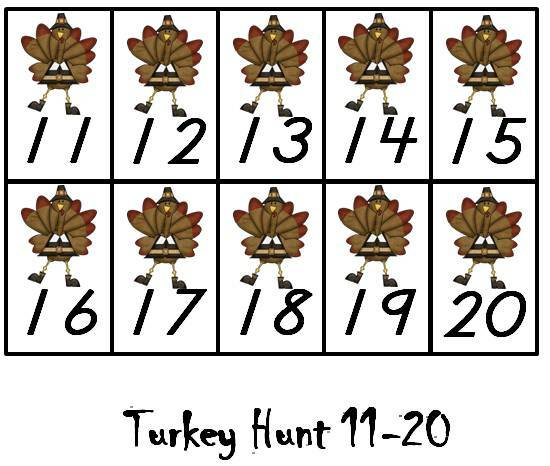 Well it worked so well with Smashing Pumpkins...why not carry it over to November with Turkey Hunt. 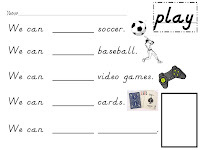 Sight Word Fun with PRONOUNS??? 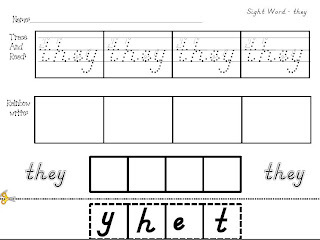 This week our sight words were HE and SHE and we were talking about the letter P so...Why not introduce students to PRONOUNS? Yes, I know it's reaching a bit, but my philosophy is- expose them to the higher level stuff so when they hear it again they have some sort of clue what it might be about. 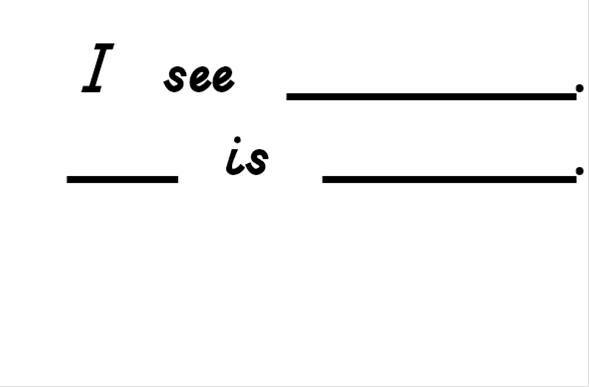 They might say, "I've heard that somewhere before..." Anyway, that's my hope. 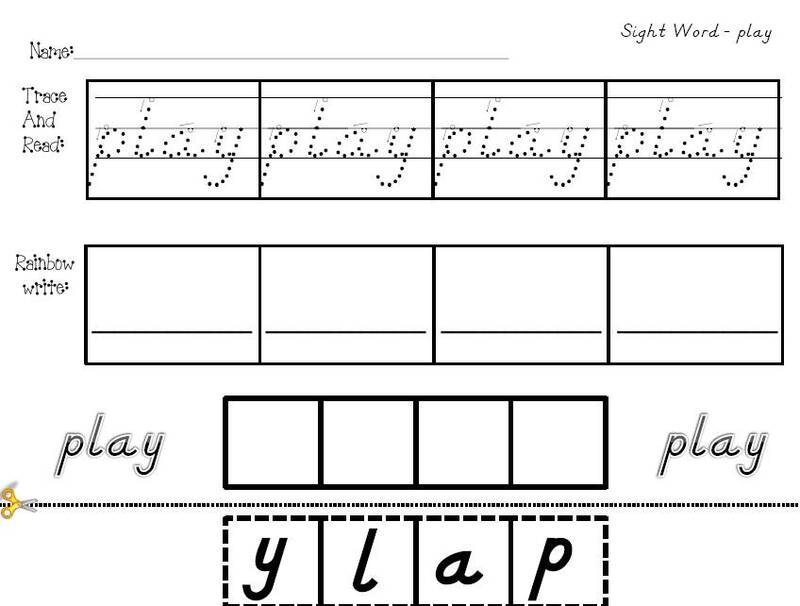 At the very least, they practice the sight words for the week and are able to recognize them... 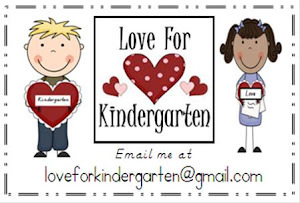 I feel like it's OK to do the "hard stuff" if it's delivered in a "fun, kindergarten way." We decided to change the word "boy" to "he" and the word "girl" to "she." 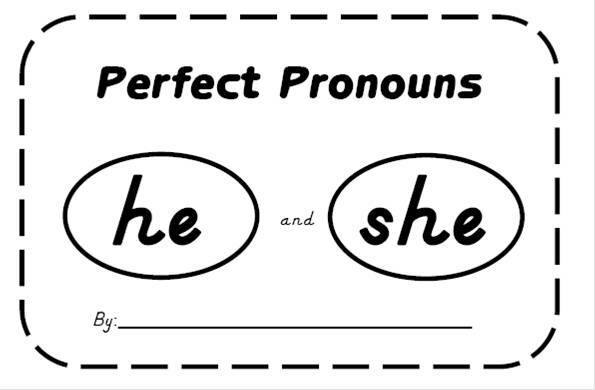 So it sang, "If you're a he, a he, if you're a he, clap your hands..." I would call out an action for the "he and she" to do... Hey, those are pronouns. Everyone said, "What are pronouns????" I asked students to put up their muscles and say "PROOOO- NOUNS." Then we whispered, "It's a secret way to say someone's name." I would call one student up to the front of the room and say- I want to use a secret way to say Zack's name in this sentence. "Zack is jumping." (Zack is jumping like crazy as we are talking!) "What word would I use instead of Zack?" Yep! "HE is jumping." 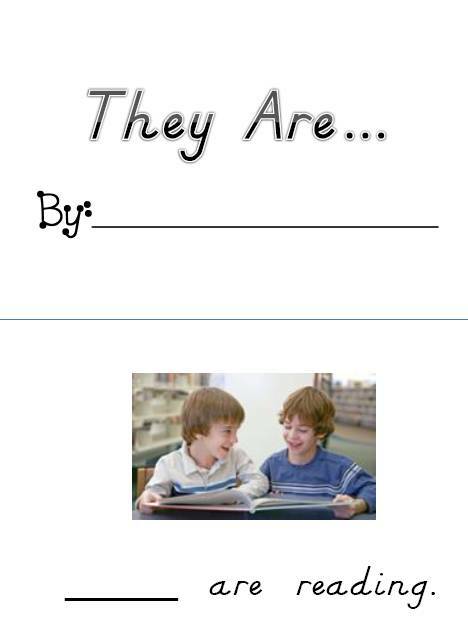 This continued using he and she for student's names. 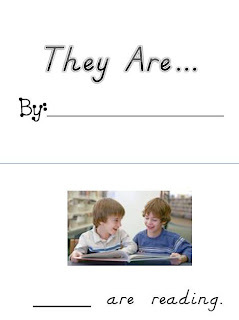 We did this perfect pronoun book working on the sight words and pronouns- HE and SHE, writing classmates names, and the ending "ing." 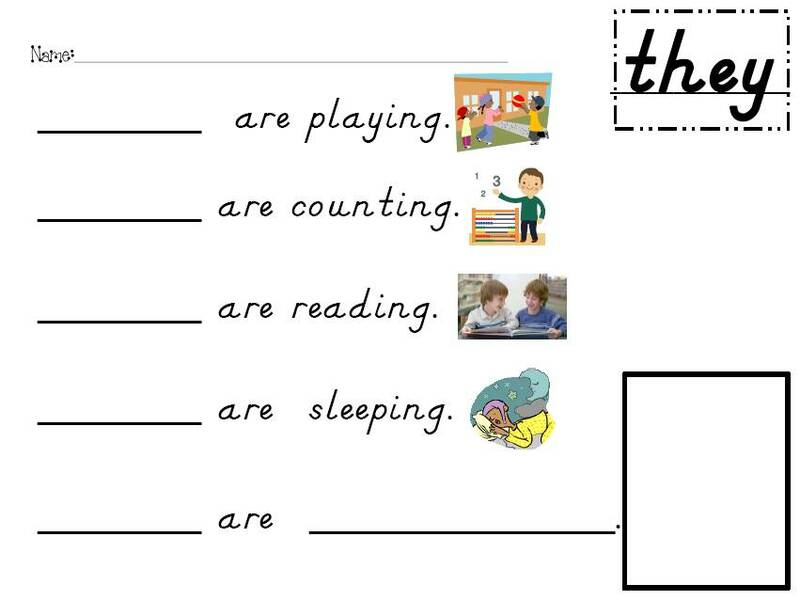 One page was a "she" page and the other was a "he" page, students wrote- I see Billy. He is running. Then, they drew a picture of Billy running. 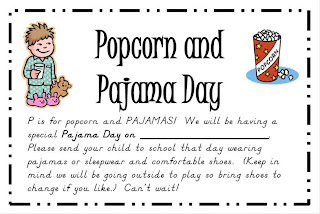 P is for Pajamas and Popcorn! 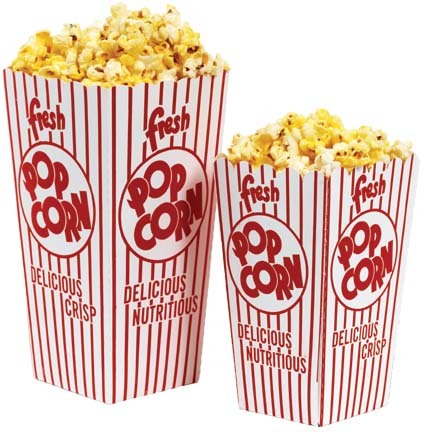 P is for popcorn...one of my favorite snacks! We made a popcorn word web to introduce and practice the sound letter P makes. 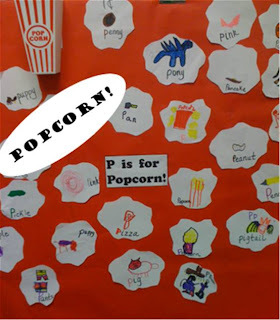 Students thought about what starts with P and then drew a picture on their popcorn piece. 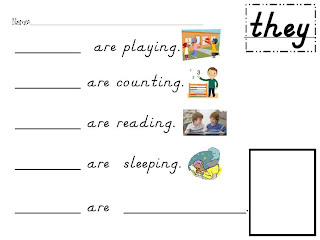 We used this web all week when we wanted to write words that started with this letter sound. 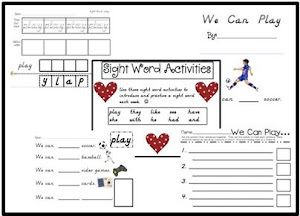 It was great to use for writing the room activity! 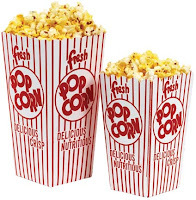 We also acted like popcorn-popping up every time we heard the P sound in a word...I had students popping all over the place. Too much fun! 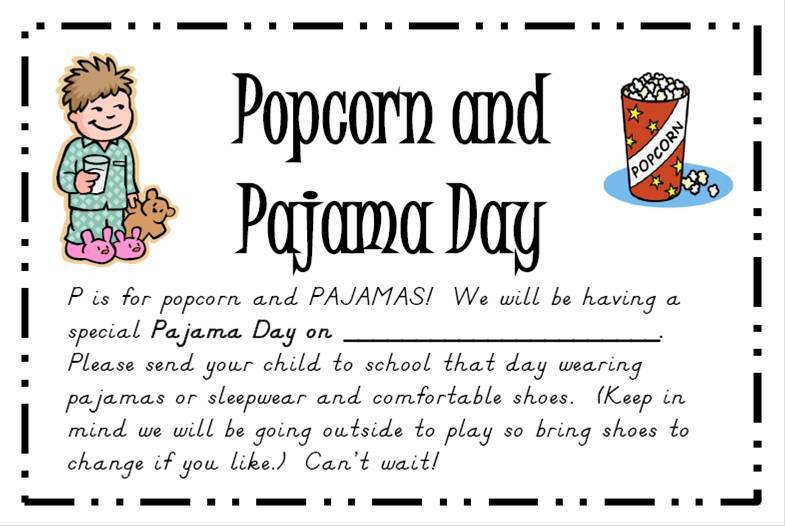 On Friday, we wore our favorite pajamas and had a popcorn tasting...We counted popcorn pieces (one to one correspondence) and put them in groups of 10 to count and eat. We talked about who had the most/least at each table. 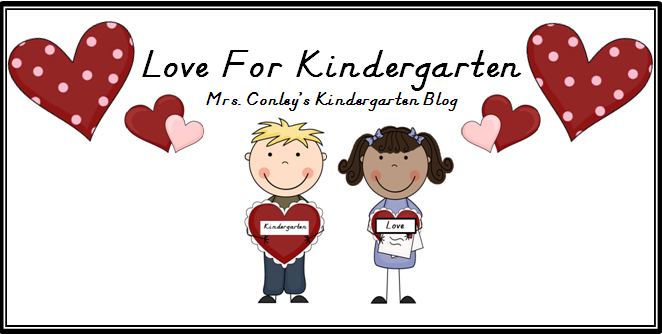 I have Love For Kindergarten today, we had a blast! 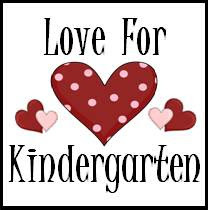 I have been teaching kindergarten for 8 years (10 years overall as an educator) and I have loved every minute I have spent with the kids. My family is my first love, but I have to admit, that I LOVE MY JOB. This is a rare thing to come by these days. I feel so fortunate to get to work with the little ones and see the academic growth and excitement that comes along with kindergarten. 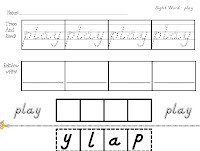 My background is in dance and I bring a lot of movement/songs into the classroom. I love to get the students up moving and learning. Sometimes we have so much fun singing and dancing that we forget that we are learning. 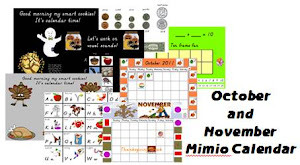 "Make the most of your calendar time!"